The date of birth is much more than a date on which we celebrate our birthday. This day in large part determines our future. We present to you an interesting interpretation of the date of our birth. 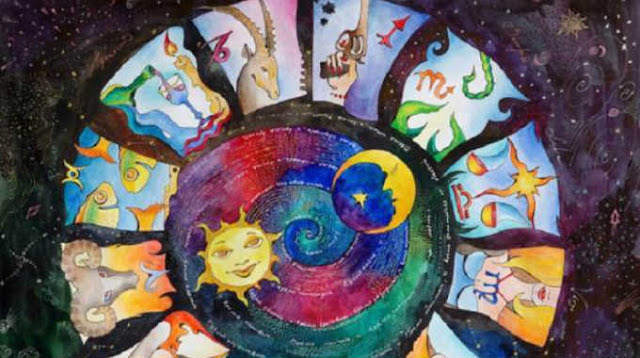 Check by yourself what you might have been in a past life according to your birthday. AFTER THAT DON’T FORGET TO CHECK OUR SOUL AGE TEST TO DETERMINE THE AGE OF YOUR SOUL. You have captivated people with your charm and intelligence. You have had great influence over all. You’ve been on the side of the weak. You’ve been a real leader and teacher to the people, almost a messiah. They have followed you everywhere. Today you do not like loneliness and you help people in needs. You are not very sociable person, in moments- eccentric. In this life you know very good what you want and how to achieve it. In love your actions comes first from your mind and logic and than from your heart. A person with a very wild fantasy, you’ve possessed the talent to entertain people. You’ve been the center of attention. You have had a lot of lovers. In the present life you are sensitive but you don’t show your feelings easy. Continue to attract your adventures, but now you are tied to one place and one person. In this life you have sharp and penetrating mind and there is no problem that you can not solve. Your power had been tact and cold-blooded behavior. You have planned well every action and you have chosen your goals very clever. In addition you have been a good speaker and a writer. In today’s life you are very honest and straightforward person and despise any kind of violence. You like humanitarian activities and wholeheartedly, helping the sick and the weak. However, quite often you lack confidence and sometimes underestimate your abilities. Highly sensitive person in love, you dedicate your whole being to love. And today you are idealists, but more cautious than before. First you will rethink and then react. You open your heart only to those friends who have proven that they deserve. In love you are too demanding and dream to experience it with body and soul. Proud and ambitious personality, you’ve had a great intelligence. You have managed to rise even to the royal throne, you became the ruler of a great empire. You have ruled with rigor and discipline. In today’s life you do not like to be commanded and guided from the others. You do not like to give away your own. Love your freedom and with all forces you try to keep it. You are a great individualist and you reject everything collectively. In love you are also too selfish and all your love affair are short-lived. You’ve never received anything with violence. Everything you’ve done tactfully and gently, and you managed to capture many hearts. However, very often you have had troubles because of the jealousy of your opponents. Today you are a very sensitive person and get angry when someone stir in your personal affairs. You are afraid of loneliness and isolation. With your loved one you are distrustful and very difficult. You don’t show your feelings. Megalomania and the desire to impose its will on the other have been the most characteristic traits in your past life. You have had numerous opponents. You have been merciless to enemies and to the one that stand on your way to the goal. In the present life you hate authority and authoritative people. Strive for peace and harmony. Your thirst for freedom is very strong and you constantly looking for new adventures. In love you are very jealous, but you’re always ready to give your soul to the person who enchant you with affection and feelings. Very well you knew that fame is a double-edged sword. You have been hard on yourself- no mistakes allowed. You have realized that death is not only physical but spiritual event. In the current life you are very trusting towards humans. Continue to be an authoritative person with a good reputation. You don’t tolerate “the talkers”. Friendship is a sacred thing for you and you’re loyal friend. In love life you are searching for truth, tenderness and romance. You have been very clever strategist with great oratorical abilities. Your weakness – Your romantic and amorous heart. Love you have experienced with a body and soul and you have given more than received. It is not surprising that after each crash from love you have became revengeful. In the present life you still have oratorical skills and looking for even stronger relationship with the others. You do not tolerate people with poor soul. For the friendship you give everything and your friends can always count on you. In love you are very suspicious and jealous. The meaning of life for you, had been in this to discover unknown places. As very curious personalities with wildly imagination, you have sought to quench your thirst for adventure. You have wanted to learn many foreign languages and have came to many foreign places. Now you are very independent kind of person, with a various interests. Still strive to discover new horizons and do not want to settle in one place. In love again looking for a soul mate. You constantly have seeked to discover the mystical. You have had a great prophetic power and certainly you have engaged in white magic. You have been very sociable. Your love for others had been more spiritual than physical. In the present life you are authoritative personality with critical mind. Highly price sensitive and wise people. Great psychologist, you are quickly understand what people hide from you. In love, you give everything and you want the same from your partner. Your main qualities had been honesty and intelligence. You have not missed envious enemy, because of your brilliant mind. Your prophetic visions had been deeply connected with your intuition. You have constantly strived for new knowledge and discoveries.